Salak is also called snake fruit for obvious scaly reasons. The fruit is grown in several South East Asian regions, one of which is Malaysia where I live, and has several cultivars. 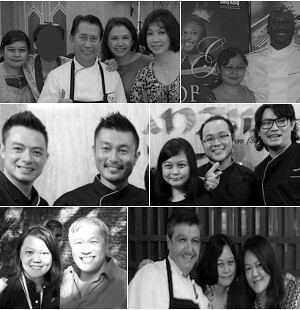 I had my first taste a long time ago through the kindness of an old lady who was running a nursery in Sungai Buloh. She offered me one as I browsed for plants to add into my balcony garden. 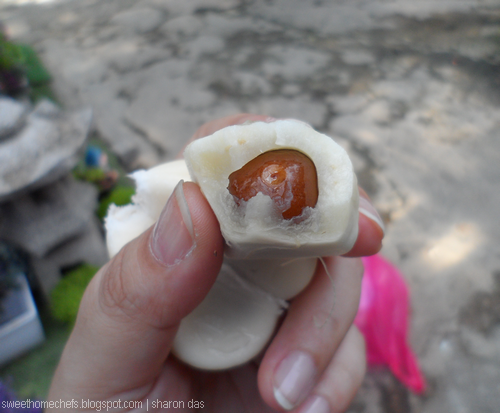 To eat, pinch the top off and peel the skin like you would a hard-boiled egg. The seed is inedible. 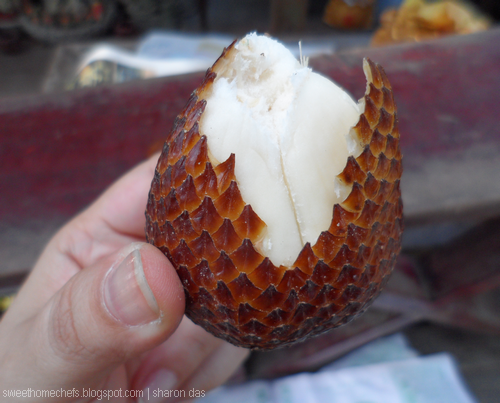 The salak fruit that I tried, which I cannot confirm it's cultivar, was mildly sweet. It was crunchy, a little dry and left a light sourish acidic taste on the tongue. I wasn't particularly taken in by the whole experience. I would describe its deliciousness as an acquired taste. That said, the sweetness and texture of the fruit also differs between varieties. So, I'm thinking of trying another cultivar to satisfy my curiosity! I will post an update, once I have. 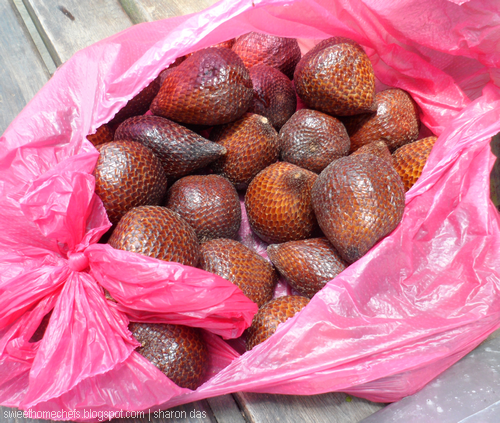 Have you tried a salak fruit before and what did you think of it? How exotic! I wish I could taste one! It's one of a kind - a rare find at supermarkets! So that's what it is! I saw this at a recently-concluded food festival. I simply assumed that it was the fruit of the cane. Glad I know now. OMG! I have never seen this fruit...and yes, it look like snake...because I have such an aversion for snakes, I don't know if I could handle this fruits...very interesting!